London, UK, 7th December – Scaling great startups into profitable, productive global powerhouses is the ambition of many nations. A report launched by Mind the Bridge and Cisco today names the UK as the tech scaleup capital of Europe. The launch of the report marks the fourth year anniversary of IDEALondon, a post-accelerator innovation centre run by Cisco, EDF Energy and UCL Engineering, which empowers tech start-ups to grow faster, stronger and further than they could alone. 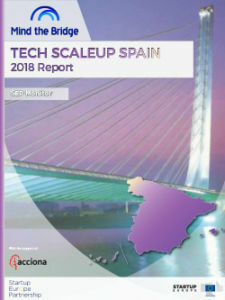 The Scaleup UK 2017 SEP Monitor from Mind the Bridge, as part of the European Commission’s Startup Europe Partnership initiative and supported by Cisco, highlights that despite the current political uncertainty, the UK is the dominant player in the European scaleup scene. Collectively, UK tech scaleups have so far raised over $21.5B in funding which constitutes 35% of the total capital made available in Europe. Describing the UK as the epicentre of scaleup Europe, the report highlights that while 69% of scale-ups are concentrated in London, the Northern powerhouse is rising as an upcoming hub for scaling businesses, with 8% originating from this region. In September of this year Cisco demonstrated its commitment to this region by opening Mi-IDEA in partnership with Manchester Science Partnerships. A new post-accelerator centre in the heart of Manchester’s innovation district aimed to help digital tech start-ups in the North of England. Consistent with common consensus, the report confirms that fintech is the prevalent industrial specialisation in the UK scaleup ecosystem. But artificial intelligence, e-commerce, mobility, fashion tech, gaming and big data are also present in the country. The fundamental role stock markets play in pushing the growth of UK scaleups is also demonstrated in the report. Crucially, UK scaleups raised four times more capital via IPO than their German equivalents, and three times more than what scaleups in France, Spain and Italy were collectively able to raise. “Today’s report demonstrates the formidable strength of the UK in providing the right environment for growing businesses. However, it is evident that we still have work to do. Whether it’s London cementing its position as a global scaleup capital, or other UK regions achieving greater levels of ambition, the UK has the potential and it now has the foundation and impetus to create world leading digital industry,” said Nick Chrissos, Head of Innovation, Cisco UK & Ireland. Today’s announcement is the latest example of Cisco’s commitment to support innovation in the UK. Whether it’s solving the world’s biggest problems, becoming more productive or helping start-ups grow and be more competitive, Cisco believes the answer to these challenges lies in co-innovation. Working alongside customers, partners, start-ups, universities and governments to turn bright ideas into transformative solutions. The current analysis is limited to ICT companies. Other key areas in the start-up ecosystem, such as biotech/life science, hard-tech and cleantech, are currently under investigation and are not included. SEP refers to startups that have raised over $1 million as “scaleups”. International comparison is based on data from SEP Monitor, Scaleup Europe, Mind the Bridge, June 2017; Mind the Bridge & Crunchbase, Startup M&A 2017 Report, September 2017.